How can I resend my Invitations? You can resend your invitation from the Manage Invitation page. We offer the option to resend to a single guest or you can resend to a group of guests. To resend to just one guest, click the Manage Guest gear symbol next to their name and select Resend Invitation from the drop-down menu. 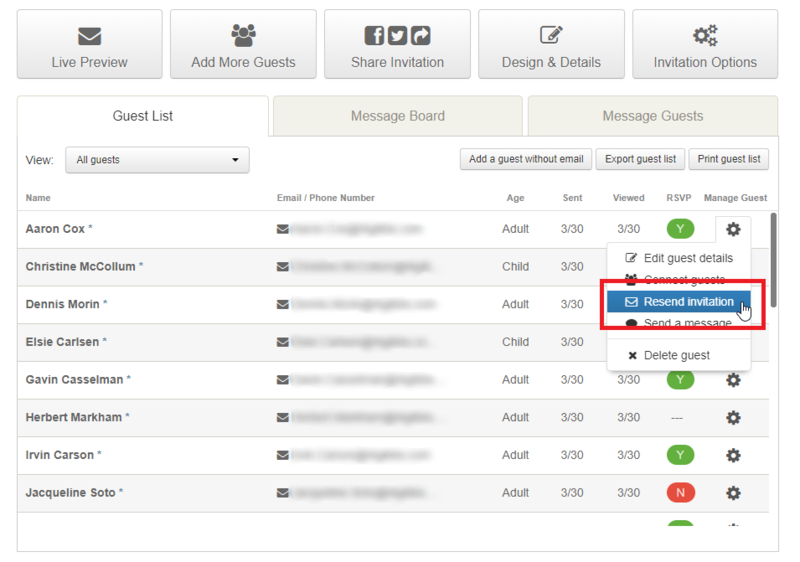 To resend to a group of guests, click the Message Guests tab on the Manage Invitation page. 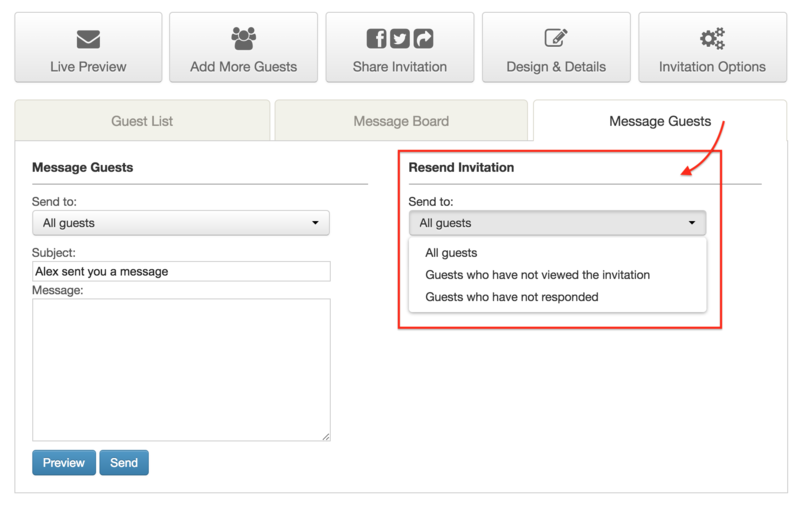 This will have the option to resend your invitation to multiple guests at once. To resend your invitation from the mobile app, tap on the My Invites tab and choose your invitation. From there, select the Manage Guests option. To send to just one guest, tap on the guest you want to resend the invite to and choose the Re-send invite option at the bottom of the Guest Details page. To resend to a group of guests, tap on the My Invites tab and choose your invitation. Next, select Manage Guests and then choose the Re-send Invites option. From there, you can decide to resend the invitation to All guests, Guests who have not viewed the invitation, and/or Guests who have not responded. Tap on the green Resend Invitation when you are ready to resend your invites.